it’s been three months since i quit my full time job. i discover and experience new emotions and states of being every week. one thing that’s become prominent lately, now that i’m home in athens, is that life without a conventional job schedule lacks structure. and the lack of structure is difficult for me. to solve this void, i’ve created different schedules for myself – one of which is my morning ritual. my mornings used to consist of: waking up at 6:17 AM, turning on the coffee pot, feeding the cats, washing my face and brushing my teeth, getting dressed in the dark, pouring coffee into a travel mug, stuffing my overflowing lunchbox and nalgenes full of berkey water into my dilapidated bookbag, and walking ten minutes to work in the pre-dawn light. i loved my morning walk through uga’s slumbering campus, but that’s about the only part of this hectic half-awake routine that i miss. even though i no longer have alarms waking me up, i do rise early and desire to get my day started off right. i’ve found that a simple and repetitive morning ritual helps me to wake up feeling good and orient my day. i’ve been trying this out for a month now, testing different things and letting go of what doesn’t work. here’s what i’ve come up with. prepare a glass of water with lemon. i squeeze a couple rounds of lemon into 16oz of water. lemon contains vitamin c and helps stimulate the digestive organs. you can even pre-wash and cut your lemons in advance, and store in the fridge in an airtight container (thanks adriene for this tip). find a quiet space where you can be undisturbed for a few moments. i like to sit at my desk in from of my altar. light a candle and acknowledge that you are now in a space of intention. take some deep breathes and feel what it’s like to be alive this morning. after some introspective moments, i finish by blowing out my candle, putting on a pot of coffee, then getting on my yoga mat. i aim for 15-30 minutes of yoga every morning. there are lots of wonderful ‘morning yoga’ videos on youtube, but i generally like to freestyle. even if you don’t own a yoga mat or don’t have time or space, 5 minutes of stretching and breathing really does make all the difference. here are some great morning stretches. at the end of my yoga practice, i conclude my morning ritual with one big conscious breath and a bow of the head to the heart. i think this ritual helps me for a number of reasons. first, i’m usually pretty groggy when i wake up, and without the task list of getting ready and heading to work, my inclination is to just putter around do meaningless chores. these chores turn into projects and before i know it, i’m in a bad mood and it’s mid-morning and don’t know how i got there. chores can always wait, and personally i do a much better job when i go into a task or project intentionally. second, it seems to really help me with my caffeine addiction to wait at least 30 minutes between stepping out of bed and pouring my first cup of coffee. there’s scientific evidence that it’s better to wait until later in the morning to have coffee than to drink it first thing. 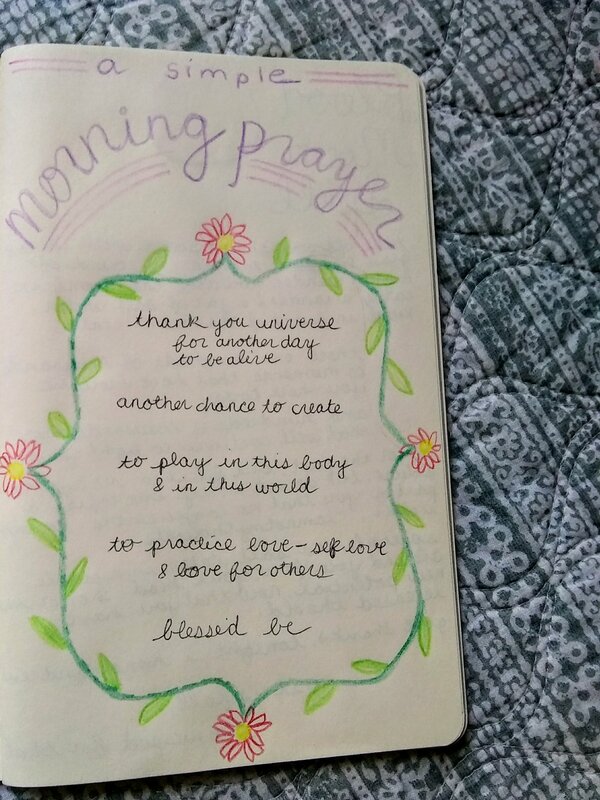 if any readers have their own morning rituals, i would love to hear!